Our range of products include hessian cloth, jute hessian cloth, five color hessian cloth, jute hessian cloth bag, jute hessian bag and eco-friendly hessian jute bag. To match up the ever-growing needs of patrons, we are offering a wide range of Hessian Cloth. 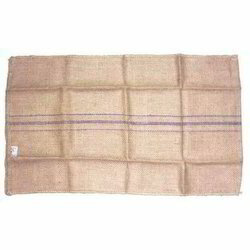 This Jute Hessian Cloth is available with us as per the specifications given by the customers. Besides these, our product is known for their high grade quality and shrinkage resistance. Hessian (or Burlap) is a plain woven jute fabric that is a higher grade than the Sacking cloth. The offered jute hessian cloth is a plain woven jute fabric which is commonly used for the wrapping and packing of cloth material. 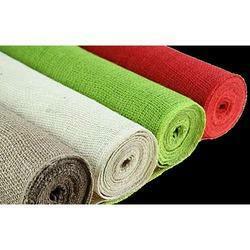 Our supplied jute hessian cloth is widely used for the packaging of , upholstery products and plant saplings. 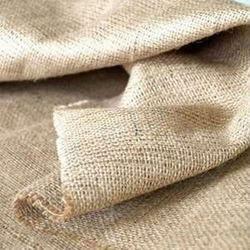 The offered jute hessian cloth is available at very affordable rates. We feel proud to introduce ourselves as the well-known manufacturers, suppliers and exporters of Five Color Hessian Cloth. The offered hessian cloth is commonly used for transport and storage of agricultural products. Our supplied hessian cloth is perfectly stitched for ensuring longer serviceability and durability. With an impressive growth record in this industry, we are manufacturing a wide array of Jute Hessian Cloth Bag. 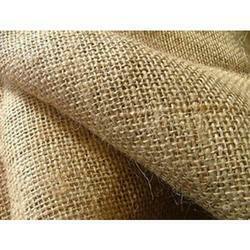 We are one of the widely acclaimed manufacturers, suppliers, and exporters of Jute Hessian Bag. The offered hessian bag is specially designed for carrying and transporting goods and materials. 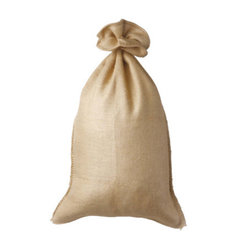 Our supplied hessian bag is perfectly stitched for ensuring longer serviceability and durability. The offered hessian bag is available at very cost effective market selling rates. We are one of the widely acclaimed manufacturers, suppliers, and exporters of Eco-Friendly Hessian Jute Bag (Jute Hessian Cloth Bag). The offered hessian bag is specially designed for carrying and transporting goods and materials. Our supplied hessian bag is perfectly stitched for ensuring longer serviceability and durability. The offered hessian bag is available at very cost effective market selling rates. We are one of the widely acclaimed manufacturers, suppliers, and exporters of Plain Jute Hessian Cloth Bag (Jute Hessian Cloth Bag). The offered hessian bag is specially designed for carrying and transporting goods and materials. Our supplied hessian bag is perfectly stitched for ensuring longer serviceability and durability. The offered hessian bag is available at very cost effective market selling rates. Looking for Hessian Cloth ?